Cranes flying over Shantung. Santo Tetsudo. Shantung Railway Administration in the Chintao Garrison Army. 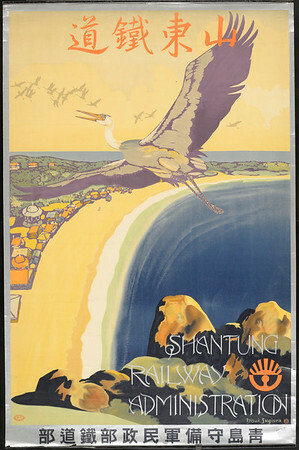 Marked with [Shantung Railway's logo?]. 青島守備軍民政部鉄道部.